Sometimes when you’re traveling, all you really need at night is a clean, comfortable place to rest your head. Central Oregon is home to more than 4,000 hotel rooms including national brands featuring popular loyalty programs and locally-owned and operated value options. But there’s also plenty of upscale options available for the most discerning traveler, including the urban-chick Oxford Hotel, recently-renovated DoubleTree by Hilton and eclectic Wall St. Suites. Located in the heart of it all in Downtown Bend, they’re just steps from nearly 70 restaurants and coffee shops, dozens of mom-and-pop shops and picturesque Drake Park alongside the wild and scenic Deschutes River. Also downtown, the McMenamins Old St. Francis School campus houses several bars, a brewpub, hotel, movie theater and Turkish soaking pool. Need help finding the perfect place to stay? Give us a call and our free, local vacation planners will find something perfect for you. The Motel 6 Bend offers a great location which is minutes to the Old Mill District and to downtown Bend. Recreation awaits with mountain bike trails, hiking trails, whitewater rafting, canoe and kayak, plus you are only minutes to Mt. Bachelor Ski & Mountain Bike Park, and the Cascade Lake Scenic Byway. If you are part of a sports team and seeking a good location for lodging, the Motel 6 Bend is centrally located to Vince Genna Stadium, baseball and soccer fields, restaurants nearby also. Golfers – there are 24 golf courses within an hour radius of the Motel 6 Bend, with some of the best championship golf courses available for public play. The season for golf begins in April and extends through October. Shopping areas in Bend feature the Old Mill District, Factory Outlet Stores, Cascade Village Shopping Center and the Bend Promenade. Downtown Bend offers wonderful boutique shopping where you can live, explore like a local and meet the owners who live in Bend. In downtown Bend, you will see the beautiful Drake Park and be able to frequent the breweries such as Bend Brewing Company, Deschutes Brewing Company, plus nearby Crux and Immersion Brewing Company. Call Motel 6 Bend today to make your reservation and begin your Bend Adventure! When you need a great nights sleep, Motel 6 Redmond Oregon is a great place to rest. Conveniently located near shopping, restaurants, a short 20 minute drive to the Bend Factory Outlets, championship golf courses and the Deschutes River recreation area. The Motel 6 Redmond offers a great location which is minutes to downtown Redmond. Recreation awaits with mountain bike trails, hiking trails, whitewater rafting, canoe and kayak, plus you are only minutes to Mt. Bachelor Ski & Mountain Bike Park, and the Cascade Lake Scenic Byway. If you are part of a sports team and seeking a good location for lodging, the Motel 6 Redmond is centrally located to baseball and soccer fields, restaurants nearby and the Deschutes County Fair & Expo Center. Golfers – there are 24 golf courses within an hour radius of the Motel 6 Redmond, with some of the best championship golf courses available for public play. The season for golf begins in April and extends through October. Try the nearby Eagle Crest golf courses or try your hand at the challenging Juniper Golf Club. Shopping areas in downtown Redmond offer wonderful little boutique stores and friendly down home restaurants. Try the Wild Ride Brewing Company for some of the best beer in Redmond. Plus in winter there is an ice skating rink in downtown Redmond! You are only 15 minutes to the picturesque Smith Rock State Park to hike or bike the 11 miles of trails to the Crooked River at the bottom. Rock climbers from the world over come to scale the rock tufts of Smith Rock and the Motel 6 Redmond is the perfect location to stay. Also you can drive 15 minutes south and check out downtown Bend offers wonderful boutique shopping where you can live, explore like a local and meet the owners who live in Bend. In downtown Bend, you will see the beautiful Drake Park and be able to frequent the breweries such as Bend Brewing Company, Deschutes Brewing Company, plus nearby Crux and Immersion Brewing Company. Call Motel 6 today to make your reservation and begin your Bend Adventure! My Place Hotel is located at 550 SW Bond Street, Bend, Oregon, from Highway 97 South, take Reed Market Road (Exit 139) and from Highway 97 North, take Colorado Avenue (Exit 138), easy access to several restaurants, recreational activities and walking distance to the Old Mill District, Les Schwab Amphitheater and downtown Bend. Easy and close drive to Mt. Bachelor Ski Resort, Cascade Scenic Byway and over a dozen golf courses within an hour drive radius. The new four-story 63-room My Place Hotel economy extended-stay hotel feature’s the My Kitchen, complete with 2-burner cooktop, microwave, and full refrigerator. The property will also include laundry facilities, lockers, free wired and wireless high-speed internet, and the 24-hour My Store; stocked with convenience items at reasonable costs. Affordable daily, weekly, and monthly rate options are available, stay longer and save more. Come and stay at My Place! The best choice for convenience, comfort and value, My Place Hotel is ideal for both short-term and long-term travelers! Whether you’re traveling for business or pleasure, our Bend, OR hotel offers an array of modern amenities to ensure your comfort. Rooms feature pillow top mattresses, microfiber bedding, and a variety of soft and firm pillows. For added convenience, all My Place Hotel extended stay rooms offer their own My Kitchen, which includes a full-sized refrigerator, a two burner cook top, and a microwave. Also available for the extended stay traveler are onsite laundry facilities, making it easy to make My Place Hotel your home away from home! Remember to grab a snack from My Store, stocked with a variety of food and beverage items, as well as a complete line up of cookware and utensils. Enjoy our Bend, OR hotel located near Hwy 97. With our best nightly, weekly, and monthly rates, you’ll save more the longer you stay! Book now online, or by calling (541) 213-2108! A boutique experience in a natural setting. Pine Ridge Inn is tucked away from main roads and overlooks the beautiful Deschutes River. It’s the perfect location to find the tranquility you are looking for while still having easy access to downtown Bend, the Old Mill District, hiking and biking trails, and along the road to Mt. Bachelor and the Cascade Lakes Scenic Highway. Pine Ridge Inn is perfect for both business and leisure travelers, as it boasts incredibly spacious, and quiet accommodations for our guests. All of our suites feature king size beds, gas fireplaces, and free wireless Internet access. The majority of our suites offer an amazing and elevated view of the Deschutes River. The Pine Ridge Inn offers first-rate accommodations for small groups and for business meetings. Discover the secrets of Bend and every hidden gem during your stay at Red Lion Inn & Suites Bend Oregon. Red lion Inn & Suites Bend would like to personally welcome you to our hotel in Bend. When you arrive at our Bend, Oregon accommodations, you will be delighted to find out that parking is free. Did you happen to bring your pet with you? Don’t worry, at our Bend Red Lion Inn, we are a pet-friendly Bend, OR hotel and have designated pet rooms for you and your furry friend. Awake to the smell of free breakfast that is provided in our lobby from 6:00 am – 9:00 am. Of our many accommodations and hotel features, we invite you to explore Bend, Oregon with us. Great location in Bend close to Historic Downtown, The Old Mill District, recreation, area attractions, shopping, and restaurants. The Black Bear Diner, a family-style restaurant, provides a room service menu in addition to breakfast, lunch and dinner dining. You can rest easy at Red Lion Inn. After a long day of exploring the Cascades, you can relax at the Red Lion Inn hotel rooms will serve as a welcome retreat. Red Lion Inn & Suites Bend wants to provide you with the most peaceful sleep so we’ve loaded our Bend, Oregon accommodations with plenty of amenities to help. Rollaway Beds and Air Mattress rentals are available for a small fee. From the moment we greet you at check in you’ll notice that we’re different from other Bend, Oregon accommodations. Red Lion Inn & Suites puts the comfort and convenience of our guests first so that you can focus on enjoying your stay. Begin your day with Red Lion’s Signature breakfast, a free bountiful buffet. After breakfast, hit the fitness center for a quick workout or enjoy a leisurely swim in our seasonal outdoor pool. All of our Bend, Oregon accommodations feature free Wi-Fi so that you can stay connected on the go and your pet is always welcome. 2,000 square feet of event space makes planning productive meetings and elegant events simple and our onsite restaurant Black Bear Diner serves amazing meals for breakfast lunch and dinner. We’re also one of Bend’s pet-friendly hotels, so feel free to bring your dog along with. Explore the beauty and rich culture of Central Oregon at Red Lion Inn & Suites Deschutes River – Bend, a convenient and comfortable hotel in Bend Oregon. With easy access to historic downtown Bend and the many craft breweries that populate the Deschutes River, our Bend Oregon hotel offers a prime location near the boutique shops of Bend and the limitless outdoor recreation near Deschutes National Forest. Whether staying for business or pleasure, guests can expect complimentary breakfast, Wi-Fi, and access to an outdoor pool and hot tub. Offering kind hospitality in a beautiful location, we look forward to seeing you at Red Lion Inn & Suites Deschutes River – Bend. In an excellent location near the Bend River Promenade shopping and dining complex and across from the Riverhouse Convention Center and River’s Edge Golf Course, the Red Lion Inn & Suites Deschutes River – Bend offers guests complimentary tea & coffee each morning in the lobby and access to a 24-hour marketplace. They also have a year-round spa, seasonally heated pool, free parking and free Wi-Fi Internet as well as hardwired data port connections upon request. Only a 15-minute drive from the Redmond Airport (RDM) and convenient to limitless outdoor recreation including Mount Bachelor, the Red Lion Inn & Suites Deschutes River – Bend is the perfect accommodations choice for both the business and leisure traveler. Just the kind of place to come back to after a day of play on the high desert in Central Oregon. Conveniently located in the heart of Central Oregon at the foot of the Cascade Mountains, the Redmond Inn offers quick and easy access to many of the region’s finest attractions. Go visit Smith Rock State Park for the finest hiking and biking trails in the high desert. We have an abundance of recreation out our doors and they are minutes away. Just 3 minutes from the Redmond Airport (RDM), the Redmond Inn is the perfect hub for all your vacation plans. Whether you come to Central Oregon for business, vacation, or both, count on the Redmond Inn to make your stay as worry-free and enjoyable as possible. 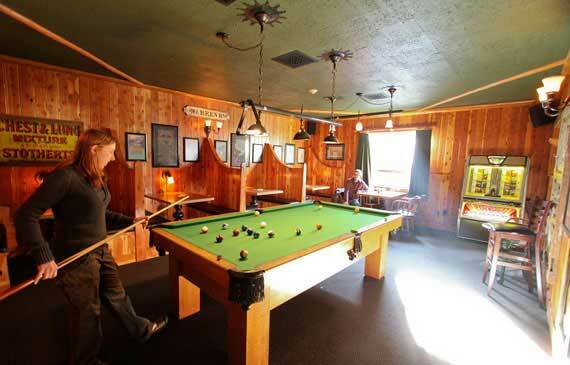 The Redmond Inn is conveniently located at the heart of Central Oregon and offers quick and easy access to many of the region’s finest attractions for skiing at Mt. Bachelor Ski Resort, or fishing the Deschutes River and the many lakes in the scenic Cascades. Gather your friends for a thrilling whitewater rafting trip or challenge them to a game of golf, as there are 24 public courses within an hour radius of the Redmond Inn. Redmond Municipal Airport (RDM) is located in the heart of Central Oregon and is currently served by four air carriers; Alaska Air, American Airlines, Delta Airlines, and United/United Express with daily direct flights to Denver, Portland, Los Angeles International, San Francisco, Salt Lake City, and Seattle. Delta, United and United Express flights are handled by Delta Global Services. Alaska Air is handled by Horizon Air. American Airlines is handled by Flight Services and Systems. The Residence Inn extended stay Bend hotel has the largest suites in Bend, Oregon. The Residence Inn Bend by Marriott hotel is centrally located near the Old Mill District and minutes from vibrant Downtown Bend, Oregon. Our Marriott hotel is a quick drive to activities on the Cascade Mountains, including Mount Bachelor. Enjoy local fare, beer and wines at our on-site bar. Residence Inn Bend is an extended stay hotel providing spacious suites with free wireless internet and fully-equipped kitchens. Start your day with a complimentary hot breakfast buffet. Guests can enjoy favorite local breweries minutes from the hotel including Immersion Brewing, Deschutes Brewery, and 10 Barrel Brewing. We look forward to making you feel at home on your next trip to Bend, Oregon. Onsite bar feature local fare, beer and wine. Our extended stay Bend hotel offers complimentary hot breakfast. Relax at our indoor pool and hot tub – we provide the towels for your maximum comfort. In addition, we offer lockers for your ski’s, golf clubs and bikes so you can enjoy all the recreation Bend and central Oregon offer. Bring Fido, we are pet friendly! Nearby you will find the river trail and a wonderful dog park for your pet to play and meet new furry friends. The Residence Inn Bend is centrally located in Bend, OR within walking distance to Les Schwab Amphitheater. At Residence Inn Bend, we offer over 2000 Sq. Ft of flexible meeting space to accommodate over 100 people. Our catering services and on-site audio-video equipment help to ensure the success of any meeting. If you have a list of your guests, we can make reservations for all of them. We can send you a report showing which of your guests have reserved rooms and when they plan to arrive. The Riverhouse On The Deschutes formerly The Riverhouse Hotel & Convention Center completed a $10 million dollar renovation in 2016, is Northwest owned hotel in Bend, Oregon located along the scenic Deschutes River. We’re one of the few Bend Oregon hotels offering onsite dining, adjacent golf course and golf packages, lodging and group meeting services just minutes from downtown Bend. We offer a wide variety of lodging in Bend, Oregon for the single business traveler, group events, and large families — more than other Bend hotels. Choose from our 220 spacious guest rooms and suites with one or two bedrooms, fireplaces, and scenic river views. We also have guest suites that are perfect for hospitality programs and business meetings at our Bend hotel. This state-of-the-art building in Bend, Oregon includes over 30,000 sq. ft. of meeting space for your convention, event or wedding. Riverhouse On The Deschutes and Convention Center is the largest meeting space east of the Cascades and a central location for events happening in Oregon. Our LEED Certified Convention Center allows Riverhouse On The Deschutes to be able to accommodate very large conferences with concurrent meetings, meals, trade shows and breakout sessions. Whether you are planning a one-day meeting, multi-day conference, a golf or ski group trip, a motor coach tour visit, a reunion or a wedding reception, we have the location, facility, service, and amenities for a successful event. We have over 30,000 sq. ft. of meeting and banquet rooms that can accommodate 5 to 1,200 guests. Each of our meeting and banquet rooms is located along the quiet banks of the beautiful Deschutes River, making the atmosphere ideal for business, education or social gatherings. Rodeway Inn & Suites Located on the south end of 3rd Street (formerly South Hwy 97), easy access to skiing, golfing, fishing, hiking, biking, kayaking, shopping areas and the High Desert Museum. If you want great value while you’re on the road, the Rodeway Inn & Suites® hotel in Bend has you covered. We’re just minutes away from the High Desert Museum. Let us offer you a fresh, clean room for a good night’s sleep, which include features such as refrigerators, microwaves and a nice, hot shower to wake you up. Select rooms come with kitchenettes, sofa sleepers, hair dryers, irons and ironing boards. Get the rest you need for wherever travel takes you at the Rodeway Inn & Suites hotel in Bend. We look forward to hosting you–reserve your guest room today! Shilo Inn is nestled on the banks of the scenic Deschutes River and is ideally located in the heart of Central Oregon with its wide variety of indoor and outdoor attractions. With 151 beautifully designed rooms, this Bend, Oregon full-service hotel is ideal for the leisure and business traveler. For your stay at Shilo Inn Mt. Bachelor Ski and Summer Resort is a short 30 minute drive where you can experience the best powder for skiing, snowboarding, and cross country skiing. In summer bring your mountain bike for a thrilling ride down the mountain or ride the lift up to Pine Marten to see the view of the Cascades or make a reservation for a delicious Sunset Dinner. Golfers will enjoy public golf courses are nearby. At the Shilo Inn Bend, Oregon you will have 24 golf courses within an hour radius for the best championship golf in the west! Bring your golf clubs and your friends for a memorable golf experience. With all this recreation nearby, it’s better shared with family and kids under 18 always stay free with an adult at Shilo Inns. Dogs welcome with nominal fee. Take them hiking at nearby Smith Rock, or on the mountain biking on the many trails or paddle boarding on the Deschutes River. Flexible meeting and conference space with service by our professional and friendly staff make Shilo Inns your first choice for a business meeting, conference, executive retreat or group event. Our knowledgeable staff will assist you with all of your planning needs including decorations, menu selection, room setup and audio visual presentation. Shilo Inn Suites – Bend is conveniently located near the Bend Promenade shopping area, local restaurants, minutes to charming downtown Bend, Old Mill District, brewpubs, hiking trails and more! Shilo Inn Suites – Bend is a short 15-minute drive to Redmond International Airport (RDM). Located in the quaint cowboy town of Sisters, Oregon, the Sisters Inn and Suites offers 50 standard deluxe and suite type hotel rooms. Close to shops, restaurants, fishing, hiking, skiing, golf courses and more. The Sisters Inn and Suites offers comfortable beds and rooms have been remodeled to for the ultimate in relaxation. All rooms have microwaves, refrigerator, coffee pot, ironing board and a balcony or patio. The Sisters Inn and Suites offers a great value for your getaway. This hotel is located along highways 20 and 126 and is close to nearby restaurants, such as Dakota’s, Subway, McDonald’s and you can walk into Sisters to enjoy the bakery, quilt shops, art galleries and even see artists working their craft. Don’t forget to try the first Hop Spa in the USA is right in the town of Sisters and a short walk from the Sisters Inn and Suites. Sisters is known for their annual Sisters Quilt Show always held the 2nd Saturday in July. Known as the largest quilt show in the USA, guests from all over the globe travel to witness the hand crafted quilts which hang from the roof tops showing the handiwork of Americana. Quilters come to spend the week learning new techniques, purchase fabric from the Stitchin’ Post and display their handiwork. This event along with the Sisters Rodeo, Sisters Rhythm & Brews Festival and the Sisters Folk Festival are on everyone’s bucket list, call us today to reserve your room and bring your friends for a great time. Situated at the base of the Three Sisters mountains in the Cascades, you will find nature and wildlife right out your door. Make Sisters Inn and Suites your basecamp for adventure for hiking, mountain biking, and fishing. Visit nearby Wizard Falls Fish Hatchery and cast your line into the aqua waters of the Metolius River for a catch and release thrill. Sisters Motor Lodge is located in the heart of beautiful Sisters, Oregon. The only motel in the downtown area where you can walk to all of the restaurants, galleries, and shops in Sisters. Discover a charming boutique motel that blends the allure of old world charm with friendly hospitality and all of the modern comforts. Sisters Motor Lodge has been serving the traveling public since 1938. Our rooms and suites are beautifully decorated and feature all of the modern conveniences, such as deluxe pillow-top Queen and King Beds, free high-speed Wi-Fi, Cable TV, view of the Three Sisters, kitchenettes, and gourmet coffee. We are pet-friendly. Enjoy the delightful outdoor living area, which features flower gardens, a patio area with a beautiful water-feature and Jacuzzi hot-tub, picnic tables, and hammocks. Our guests enjoy easy access to the many hiking, biking, birding, backpacking, riding, fishing, and skiing trails. We also have a few pet-friendly rooms. Enjoy the delightful outdoor living area complete with water features and a flower garden. Experience a taste of the “Old West” in the town of Sisters, which offers great shopping, special cultural and music events, entertainment, and a variety of restaurant and cafes to choose from. There are may community events including the Sisters Quilt Show, Sisters Folk Festival and Jazz Festivals, Art Walks, the Sisters Rodeo, the Roundup of Gems, Custom Classic Car Show, Saturday Markets, Harvest Faire, and many more. For fine-dining try Jen’s Garden, Los Agaves Mexican Grill, or the Open Door at Clearwater Gallery. For shopping visit the Stitchin Post, DonTerra Artworks, The FlyFisher’s Place, Leavitt’s Western Wear, or Blazin Saddles Bike Shop. Sisters Motor Lodge is a small business, locally owned and operated by Mary G. Fowler, since 1993. We also provide easy access to a variety of Central Oregon’s breweries, galleries, museums, coffee shops and fine-dining experiences. Our smoke-free guest rooms are inspired by nature to refresh and relax and feature TVs, coffee makers, mini fridges, microwaves, irons and ironing boards. Dream better here at the Sleep Inn. Bend hotels like ours are just as restful as home but better. Book today! Bend Oregon is known for its hand-craft breweries, it is the birth place of the Deschutes Brewery and the Sleep Inn is across the street from Worthy Brewing Company. Nearby there are great restaurants like Baldy’s BBQ and Hola! and check out the shopping center where you can shop Barnes & Noble, Old Navy and COSTCO. Recreation is abundant in Bend, Oregon – here you can go paddle boarding on the Deschutes River or the Cascade Lakes. Bend is the active lifestyle where you can hike in the Deschutes National Forest, or ride all the mountain bike trails, ride the rapids with Sun Country Tours for a whitewater raft trip. Check out the High Desert Museum to see the otters or walk through history. Stroll down the cozy streets of downtown Bend, with boutique shops, wonderful restaurants and friendly locals. You really can do it all here. Call Sleep Inn today to begin your adventure. The award-winning Sleep Inn & Suites – Redmond® hotel in Redmond, OR near the Roberts Field-Redmond Municipal Airport is a simply stylish sanctuary designed for a happy night’s sleep. Your stylish guest room offers fresh design elements inspired by nature to refresh and relax, as well as amenities like a refrigerator, microwave, coffee maker, flat-screen TV, hairdryer, iron and ironing board. Dream better at the Sleep Inn & Suites. Redmond hotels like ours are just as restful as home but better. Book now! Let Sleep Inn & Suites be your basecamp for adventure and head off hiking to one of Oregon’s Seven Wonders at Smith Rock State Park where you can hike up Misery Ridge or bring your mountain bike to explore the miles of shared hiking and biking trails. From here you can go fishing, ride the rapids on a whitewater raft trip, horseback riding or enjoy one of the 24 championship golf courses that are within an hour drive. You will find great restaurants and breweries such as Wild Ride Brewing and check out downtown Redmond for shopping. SpringHill Suites Bend, Oregon hotel is located in the heart of Old Mill District. The hotel opened in 2017 in Bend, OR and is adjacent to the Les Schwab Amphitheater. One of Marriott hotels premier hotels is a quick drive to enjoy the many activities on the Cascade Mountains and Mount Bachelor. A walk along or float down the Deschutes River is minutes from our Bend hotel. At the SpringHill Suites Bend, we pride ourselves on offering the extras that add up to more with our complimentary hot breakfast, evening bar with local craft beer, wine, and light fare. Guests can enjoy some of the favorite local breweries minutes from the hotel including Immersion Brewery, Deschutes Brewery, and 10 Barrel Brewing. Our SpringHill Suites Bend hotel features modern, spacious suites with free Wi-Fi, microwave, refrigerator and a flat-screen TV. Stay energized in our pool and large fitness center with top of the line exercise equipment. SpringHill Suites Bend also offers over 2,000 square feet of meeting space. SpringHill Suites Bend hotel promises to make your stay a memorable one! We warmly welcome you to a wonderful and relaxing stay at SunView Motel & Resort, which we call home. Our desire is that you, our special guest, will always experience something extra-ordinary while staying with us. Whether it be the panoramic view of the canyon rims, or the abundant wildlife and frequent the grounds, nature will not disappoint you here. If you are looking for things to do, may we suggest golfing, swimming, hiking, rock climbing, rafting, sightseeing, shopping or dining, the choices are endless. At SunView Motel & Resort we are delighted to assist you in any way possible, just let us know how we can help. Our ambition – as owners and operators- is to create a stress free and rejuvenating experience at the SunView Motel & Resort, Inc. Come visit us at Crooked River Ranch! You will enjoy your stay at “Central Oregon’s Best Kept Secret”. On the Sunview Motel & Resort grounds there is a volleyball court, tetherball and a horseshoe pit. There is a tennis court and basketball court just a short jaunt away. Also, there is FREE swimming at the outdoor pool and child’s size pool on the Ranch, next door to SunView Motel & Resort. Golfers will want to bring their clubs – The Crooked River Ranch Golf Course and driving range is adjacent to the motel (800) 833-3197. View and explore the Crooked River and canyon. Within minutes you could be hiking or biking the trail of Smith Rock, or fishing at Steelhead Falls and many more local advantages. Also, the Ranch Chapel has services every Sunday so you don’t have to miss out on church! SunView Motel & Resort also accommodates family reunions and special event weddings. Call us for more details to make memories with your family and friends. Take a break from your travels at our Super 8 Bend hotel near Highway 97 and minutes from downtown. We offer comfortable, affordable accommodations whether you are with us just one night, or plan to stay and enjoy the area. Super 8 Bend is close to Bend Factory Stores, the Old Mill District, and the Les Schwab Amphitheater. Featuring 80 air-conditioned guest rooms, an indoor pool, and a spa tub, complimentary wireless Internet access available in public areas and a complimentary breakfast each morning. Start your day with a free SuperStart continental breakfast, then log on to the Internet with free WiFi. Swim in our heated indoor pool or relax in our hot tub. Fuel up any time with free coffee in the lobby. We offer meeting space and free large-vehicle parking. Non-smoking and accessible rooms are available at our dog-friendly hotel. Meetings and events at Super 8 – With 216 square feet of event space, our hotel features 1 meeting room, which can be arranged to accommodate 10 conference guests. Plan your next meeting or special event with us. We also arrange great rates for groups — large or small. A stay with us is the best way to explore downtown Bend, Oregon for the great restaurants, boutique shopping and excellent breweries. Also, we are close to the Old Mill District which has a wonderful river trail for walking along the Deschutes River. There you will see locals and guests alike stand-up paddle boarding, canoeing or kayaking and you will even see those taking it easy and floating the river to stay cool. Bend is also known for spectacular skiing at Mt. Bachelor Ski Resort. Wax your skis and head up the mountain for the best powder in the nation! You will find Nordic Trails as well as a tubing hill which spells fun for the entire family. Our Super 8 Redmond hotel is a great launching point for your Pacific Northwest travels. Quick access to Route 97 means you can easily get to natural attractions like Smith Rock State Park, Deschutes National Forest, High Desert Museum and Newberry National Volcanic Monument. Super 8 Redmond hotel provides quick access to Highway 97 and is conveniently located next to the Redmond Airport, the Deschutes County Expo Center, Juniper Golf Course, restaurants and shopping. Take advantage of free airport shuttle service and free SuperStart breakfast. Go for a swim in our heated indoor pool or relax in our hot tub. Free WiFi keeps you connected, and microwaves and refrigerators are available upon request. Free parking for any sized vehicle is included, and accessible rooms are available. Our hotel is pet-friendly, dogs only. Hike or rock climb along seven miles of scenic trails in Smith Rock State Park. From the peak, view 500-foot-deep Crooked River Gorge, or photograph the breathtaking vistas of snow-covered Mt. Hood and Mt. Jefferson. Hike Deschutes National Forest in the Cascade Mountains, a four-season land of adventure with dense evergreen forests and sparkling alpine lakes, or visit 50,000 acres of lakes and lava flows at National Volcanic Monument. With a stay at Super 8 Redmond, you are in the hub for recreation. Inspired by the cosmopolitan mountain town we call home, The Oxford Hotel in Bend, Oregon is a welcome respite from your outdoor adventures. As the only eco-chic boutique hotel in the area, we offer amenities and luxuries you simply won’t find anywhere else in town. Our award winning boutique Bend hotel, our friendly staff, eco-friendly design and convenient location both in the heart of downtown Bend and minutes away from the endless outdoor opportunities found in Central Oregon, you’ll discover hospitality, comfort and convenience that until now you could only dream about. The upscale, unique Oxford hotel experience you have deemed unimaginable has finally arrived. Our Bend, Oregon accommodations afford our sophisticated guests everything the active, eco-conscious traveler desires-a gorgeously designed, full-service luxury hotel that manages to organically fuse eco-sustainability amenities and luxuries you simply won’t find anywhere else. Located in the heart of downtown Bend, The Oxford Hotel fuses eco-sustainability with luxurious amenities, convenience and incomparable service you expect from a four diamond hotel in Bend, Oregon. From Green bedding, state-of-the-art corporate meeting space availability and stunningly chic decor to on-site fine dining at the divine 10 Below Restaurant and a culturally impressive array of things to do, The Oxford Hotel Bend is the discerning, eco-conscious traveler’s ultimate hotel destination. Located on Bend’s west side close to The Old Mill and Downtown, the TownePlace Suites is an extended stay hotel where you can balance work and life as you like, with the comfort, flexibility, and affordability you require. A 20-minute drive from the snow-capped peaks of Mt. Bachelor and one mile from the vibrant streets of downtown, TownePlace Suites is one of the only all studio suite hotels in Bend. Our modern extended-stay hotel features charming studio suites with kitchens and comfortable work and living spaces. Enjoy modern lodging in Bend, Oregon, with convenient business and leisure amenities. Designed to be your home away from home, our spacious rooms and suites make your extended stays or getaways a productive and enjoyable experience in beautiful Bend, Oregon. At TownePlace Suites our charming hotel accommodations feature ample guest rooms and suites with lifestyle amenities, including a spacious work desk, wireless Internet and cable TV. In addition, our TownePlace Suites hotel features fully equipped kitchens. Rest comfortably with luxurious crisp linens, thicker mattresses, custom comforters, and fluffy pillows. Located close to Mt. Bachelor, the Old Mill District and downtown, TownePlace Suites Bend is ideal for relocations, corporate travel, and vacations in Bend, Oregon. Our extended-stay hotel in Central Oregon is an all-suites hotel featuring studio and one bedroom with separate living areas, wireless Internet, luxurious bedding and full kitchens that include a refrigerator, microwave, dishwasher and stove top. Complimentary continental breakfast and 24-hour fitness center help you get started. And, free wireless Internet and meeting space for over 50 keep you connected and in business. We are also next door to the Old Pancake House and minutes into the Old Mill District and downtown Bend for dining and shopping options. Enjoy thoughtful travel amenities we offer Wi-Fi, a swimming pool and spa, fitness and business centers, as well as laundry facilities perfect for extended stays and family getaways. Bring your whole crew-we are a pet friendly hotel! Explore the summer hot spots in Bend with the Ride Bend free shuttle outside the TownePlace Suites! Visit some of our favorite spots like the Old Mill District, Downtown Bend, and Les Schwab Amphitheater. The shuttle is available now through Labor Day from 2PM – 10PM. Enjoy the best of Bend with us! Wall Street Suites is a newly transformed motel in Downtown Bend Oregon with 15 suites and 2 single guest rooms. The eclectic and relaxed atmosphere combines natural stone showers and flooring with custom wood with hand-rubbed European hard wax oil fines and beautiful slabs of granite to create a space of peace and serenity for each of the guests. With an onsite dog park, 4 legged traveling companions are welcome. As the jewel of downtown lodging, guests can come home after a fun day of Central Oregon living and enjoy the privacy and quietness of your special Wall Street Suite or room. Each space is insulated for sound control and comes with its own combination of carefully selected woods of Alder, Beech, Walnut, Western and Siberian Birch or Hickory with unique stone and tile such as Ming, Sandstone, Marble, Slate, and Travertine, as well as variations of unique Slab Granite. The beautiful combination of wood, granite, and tile provides each guest with a visual experience of the Central Oregon relationship between the high desert and Cascade forest. Whether you are gathering around your fully furnished kitchen with friends or family, lounging on your queen sofa, or sleeping in your king sized bed, you can enjoy the embrace of nature in the comfort of your room.